6274 Public Art offers a free consultation service to Local Councils, URCs, Planning or construction companies to assist with their public art projects. 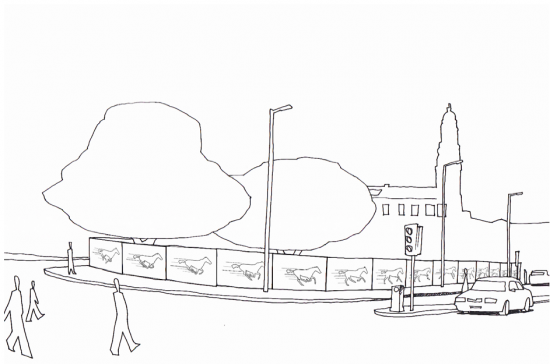 Once we establish the nature of the project we will put forward a proposal which will involve consultation with the local community and ultimately result in brand new art installation somewhere within the public realm. We will work with each client to advise on best practices print and installation solutions as well as advising on which areas will create the most impact. The final result will be an eye-catching artwork which will add value to the local area while fitting within budgets and time scales.